All species and reputedly wild forms. In borders, rock gardens and naturalized areas. 'Campernelle Double' aka 'Odorus Plenus' (yellow), 'Campernelle Single' aka 'Odorus' (yellow) and 'Lobularis' (yellow). 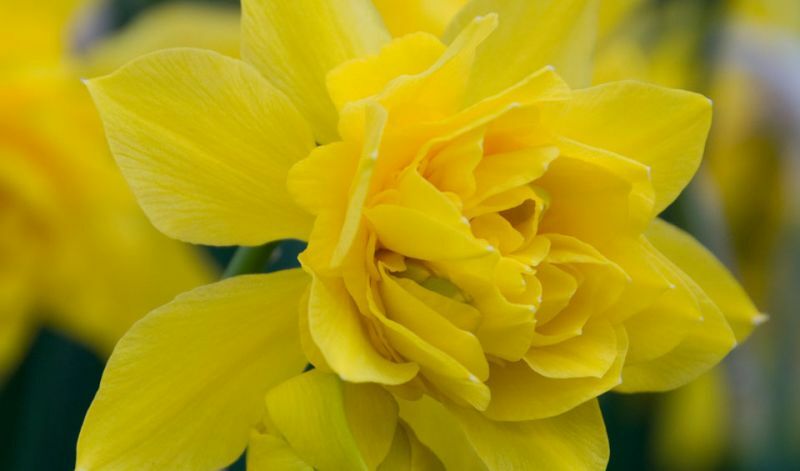 Narcissus is native to Europe, North Africa and Asia. The common English name is 'Daffodils'. In North America, and especially in the Southern US, they are also commonly called 'Jonquils' but strictly speaking that name only belongs to the rush leaved N. Jonquilla and varieties derived from it.